Such was gusto that punctuated the curtain-closing 2016 FIM Central Africa Challenge Motocross at Jamhuri Park racetrack. Takkunnen siblings Jayden and Jet rode their KTM machines with zeal and vigor to hand Kenya wins in the MX50 and MX65 respectively. Alon Orland of Uganda came in second in MX50 with Tanav Choda of Kenya completing the podium dash. But the Orland brothers Aviv and Stav made up for Alon's undoing in MX50 as they rode to a scintillating 1-2 Ugandan finish in MX85 ahead of Christian Chege of Kenya as Fortune Ssentamu of Team UG finished 5th. Barrack Orland who is the father of Stav, Alon and Aviv brothers emerged the winner in the Veterans and Masters category beating beating compatriot Mbambasi Ashiraf and home oldie Moses Mugo to the podium tussle. The Orlands are no strangers to Kenyan race circuit having already taken some impressive scalps as guest riders earlier in the season. Tutu who is a former Kenya and East African champion won the first heat with Maxime claiming the last two. 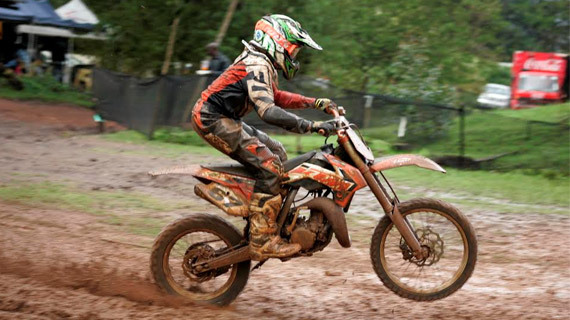 The WMX-Ladies class saw Nandi Kiplagat emerge the winner on 60points with Mali Nyachae of Ksnya taking second spot on 51 whilst Shadia Katete of Uganda returned third on 15points.